We are delighted to announce Yarra Ranges Council will support this event in 2017. 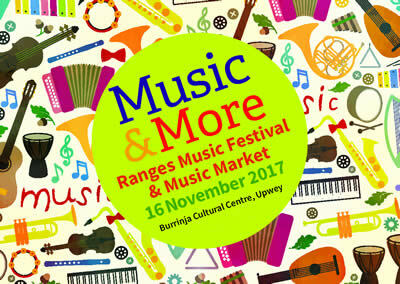 A warm invitation is extended to the music community to perform, attend workshops or have a music market table at our Music & More Festival. Schools and the community.....are all welcome!